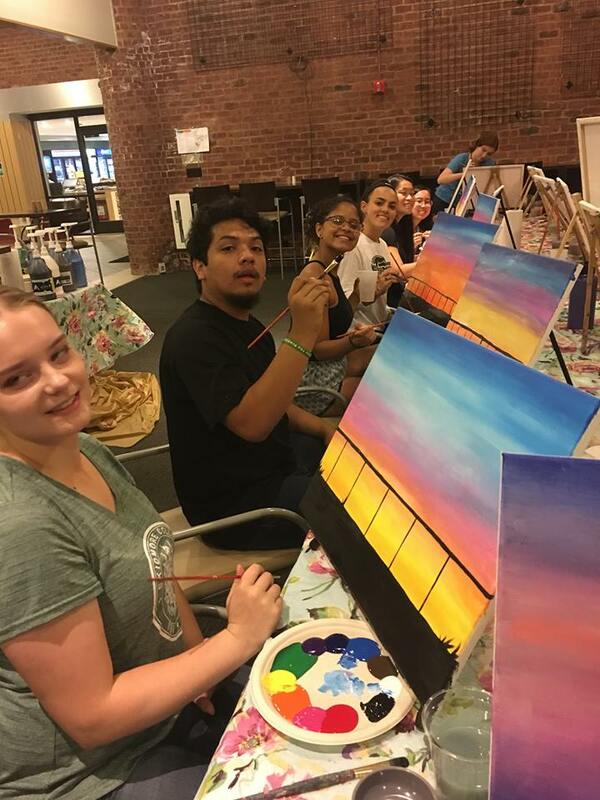 We take your interests seriously because we want you to have fun and get the most out of your social life at Skidmore. 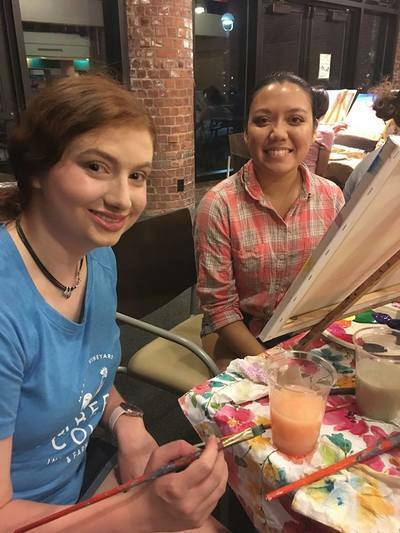 Here's a glimpse into some of the events we've held in the past. 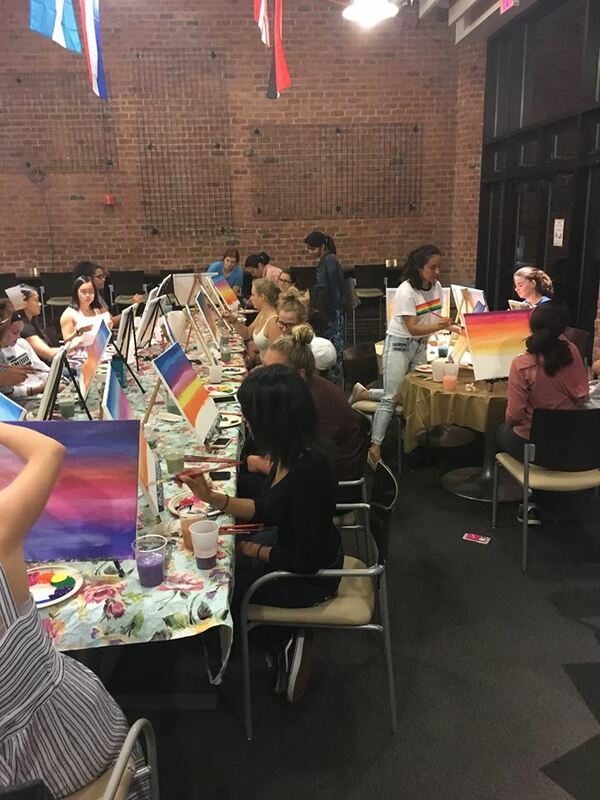 For the first Friday of the Fall 2018 semester, we thought we'd bring some fun to campus! 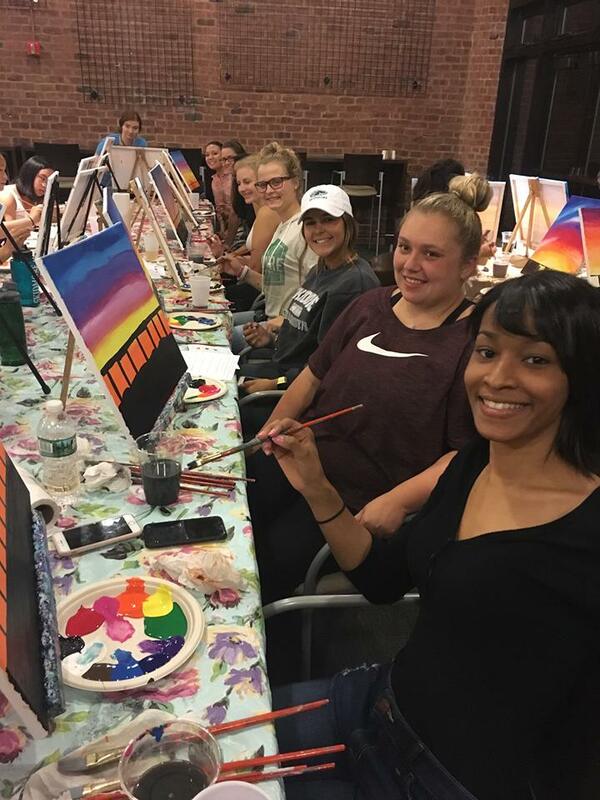 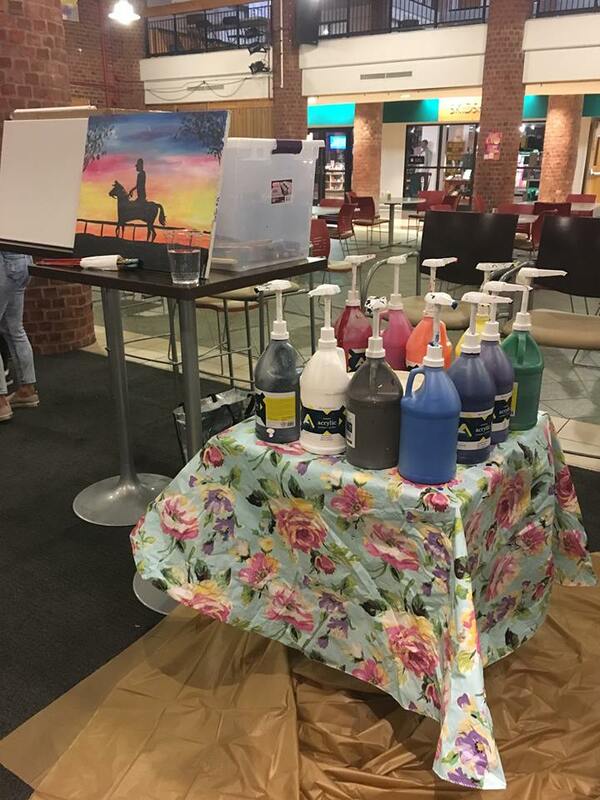 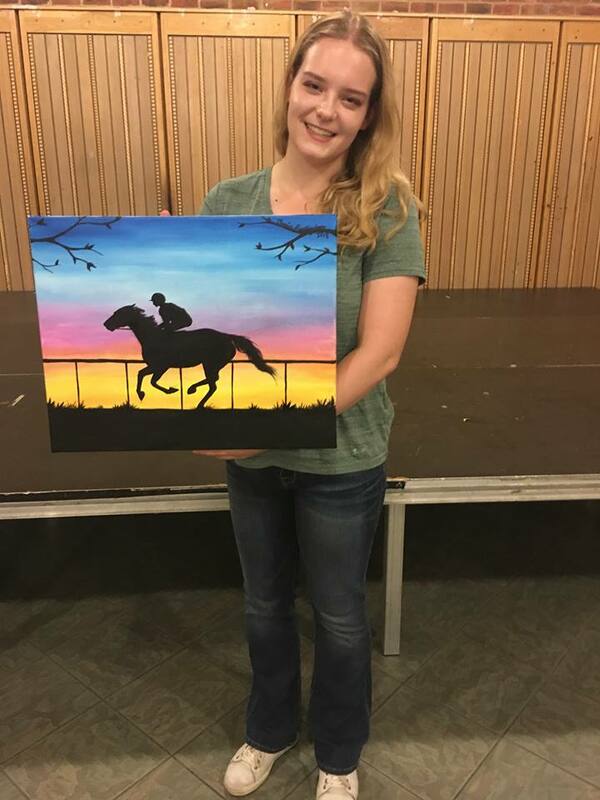 Saratoga Paint and Sip hosted a Paint and Sip event on campus in the Spa. 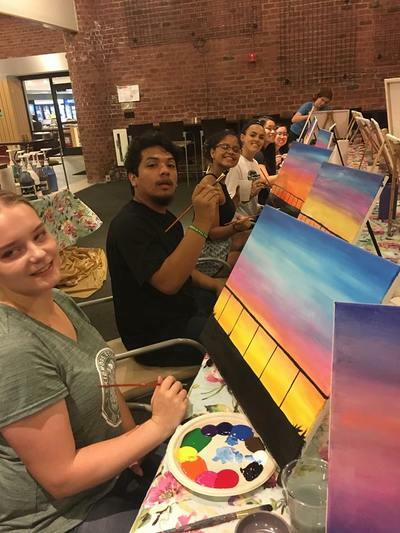 Everyone had tons of fun, got to show off their creativity skills and got to meet new people! After going through the interests that The Source members submitted, we saw that there was a lot of interest in baking and cooking. 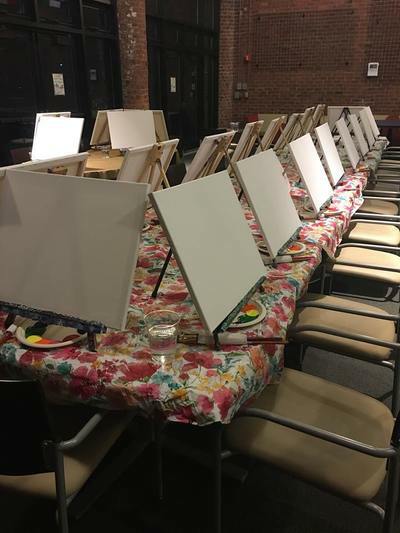 We hosted a baking night at Serendipity Arts Studio in town and had a blast! Last year, The Source hosted a trip to Saratoga Paint & Sip. 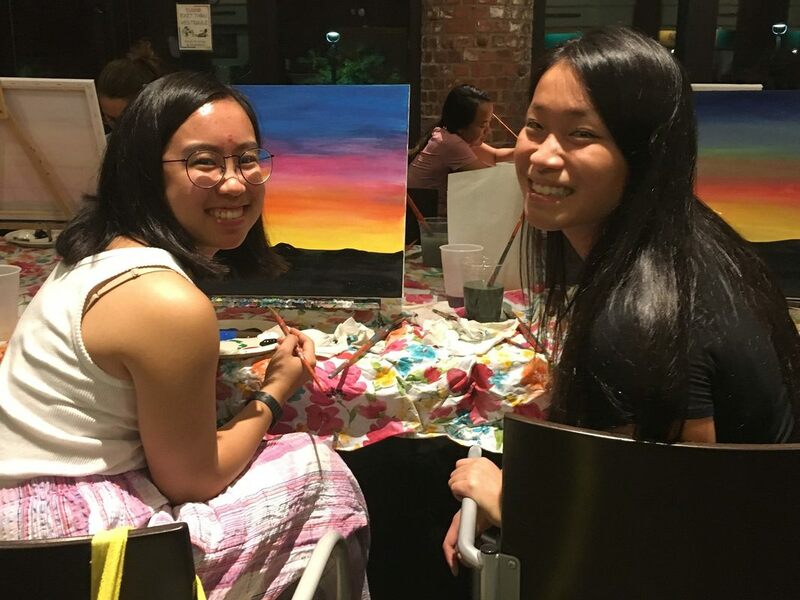 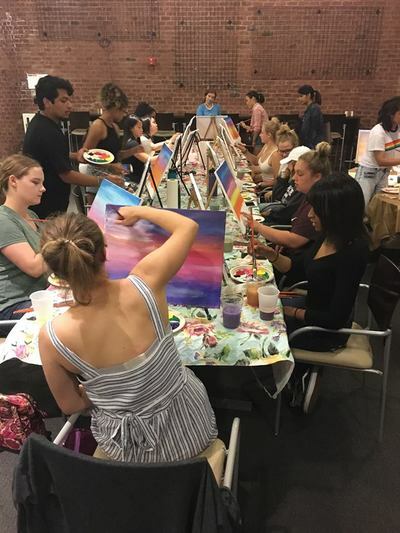 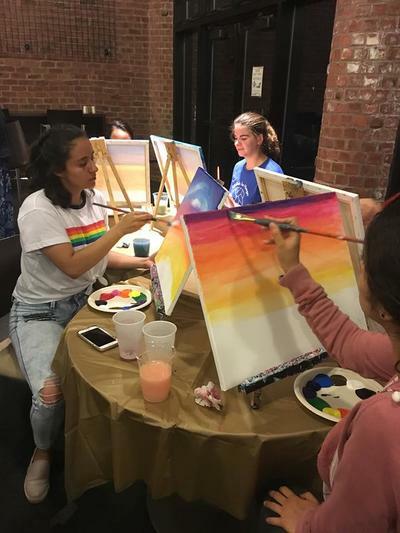 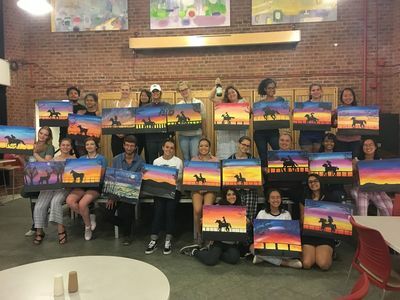 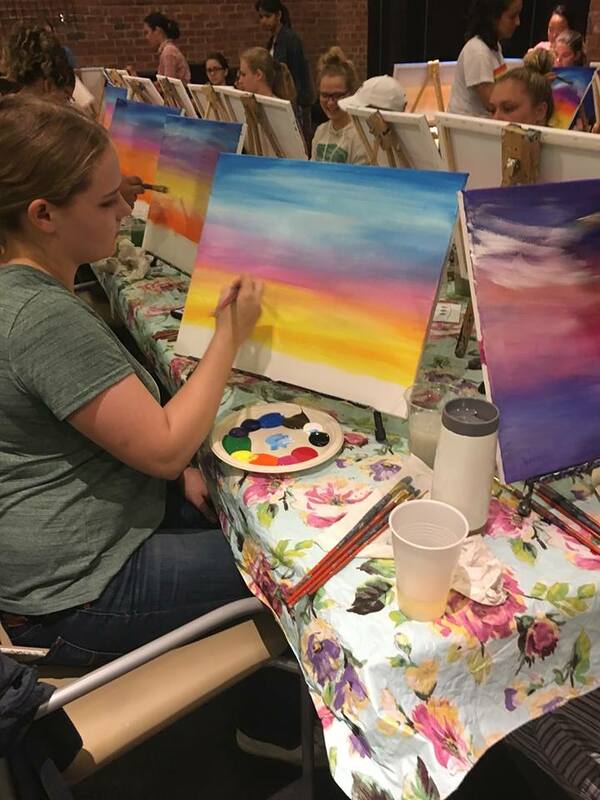 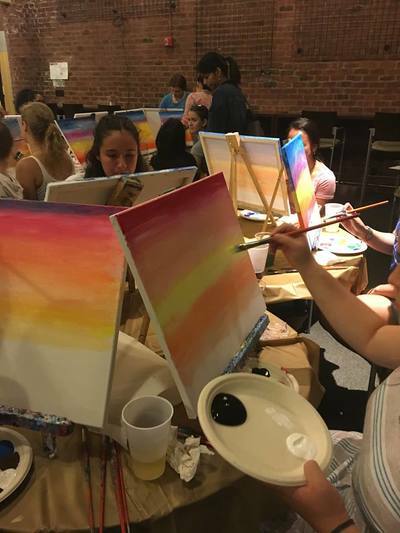 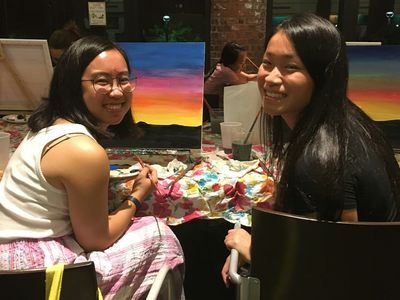 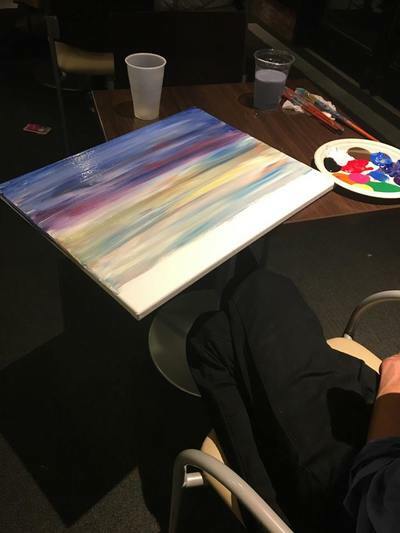 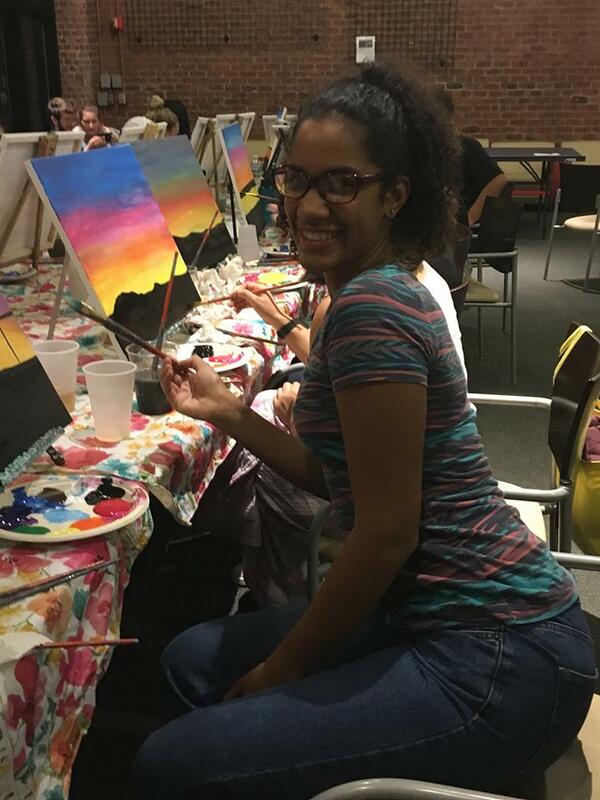 We rented the entire facility and hosted a fun night for Source members to get creative with their painting skills - even at the beginner level! 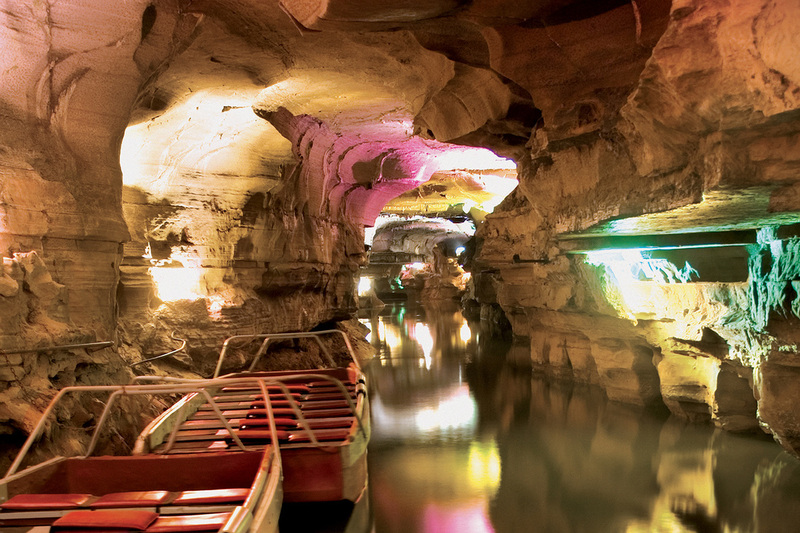 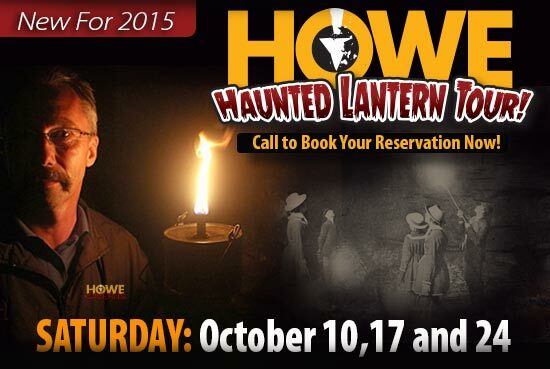 In the past, The Source has hosted a bus trip to Howe Caverns for some underground Halloween fun! This trip was super successful and the bus was packed! ​The Source also hosts on campus events, such as this "study break" movie night! 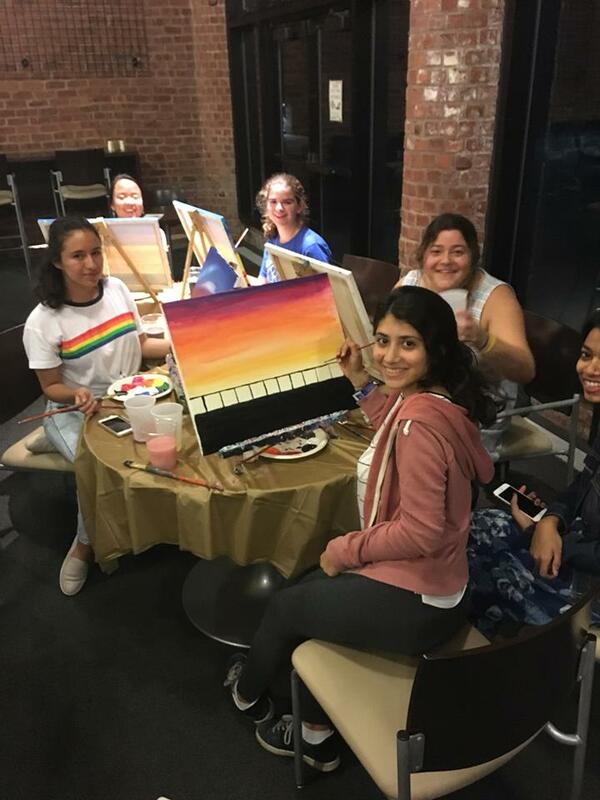 We had cookies and milk and the cookies even went along with the Monsters theme!